Tax cuts for the wealthy don't pay for themselves. Lower Taxes on corporations and the wealthiest Americans will be paid by working families in the form of cuts to programs they rely on. The plan's largest income boosts will go to millionaires, while providing nothing to help low-income people build wealth. The plan will require taxpayers to provide a social security number to claim the full value of tax credits they rely on now. In other words, hard working immigrant taxpayers get to join low-income people among the ranks of those excluded from the chance to get ahead. While they decide whether to support this plan for "tax reform," members of Congress need to hear from you today...before they hear from the lobbyists and special interests that stand to benefit at the expense of working families. Call your Representative and tell them to put working families first! Thank you for using your voice to stand up for what's right: the chance for everyone in our country to thrive. Questions? Need help taking action? Contact Vanna Cure. BISMARCK -- Sen. Heidi Heitkamp (D-N.D.) launched a website this week with resources for North Dakotans to learn about the Affordable Care Act, also known as Obamacare, and options people may have to get covered under the federal marketplace exchange. Open enrollment started Wednesday, Nov. 1 and will last through Friday, Dec. 15. Open Enrollment is the annual period when you can shop for insurance through the health insurance marketplaces and either renew your old plan or sign up for a new one. Eight out of 10 people are eligible for premiums under $75 thanks to financial assistance offered through the Affordable Care Act. Most people who miss the Open Enrollment period will be without health insurance in 2018. The Grand Forks Taco Bell was closed Friday after several employees walked off the job thinking they were being replaced, but the fast food chain said it never intended to fire anyone. The restaurant at 1301 S. Washington St. was closed early Friday, with its lights shut off and doors locked. Taco Bell employee Mark Dunham said he was told the store would be closed that day because half of the eatery's employees quit. WASHINGTON—Rep. Kevin Cramer, R-N.D., says he received a phone call from President Donald Trump encouraging him to run against Sen. Heidi Heitkamp, D-N.D., whom the president has called a "good woman." Cramer said he received the call from Trump within the past week. "He strongly encouraged me to run," Cramer told The Hill, a newspaper that covers Capitol Hill in Washington. Cramer said he would wait until tax reform, a major Republican legislative priority, is addressed before making his decision. The Tax Cuts and Jobs Act, which was introduced on November 2 in the House of Representatives, includes provisions that raise taxes and some that cut taxes, so the net effect for any particular family's tax bill depends on their situation. Some of the provisions that benefit the middle class - like lower tax rates, an increased standard deduction, and a $300 tax credit for each adult in a household - are designed to expire or become less generous over time. Some of the provisions that benefit the wealthy, such as the reduction and eventual repeal of the estate tax, become more generous over time. The result is that by 20207, the benefits of the House bill become increasingly generous for the richest one percent compared to other income groups. See below for how the bill would affect North Dakota residents' federal taxes and read our full report on the bill here. Please take a moment to tell Representative Cramer to oppose H.R. 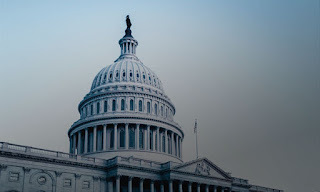 1, the Tax Cuts and Jobs Act, by clicking on this link: https://prosperitynow.quorum.us/campaign/5530/. The link will take you to an automated system at Prosperity Now that will enable you to quickly send your email. The share of tax cuts in North Dakota going to each income group in 2018 and 2027. The fraction of taxpayers in North Dakota who would pay higher taxes under the bill.